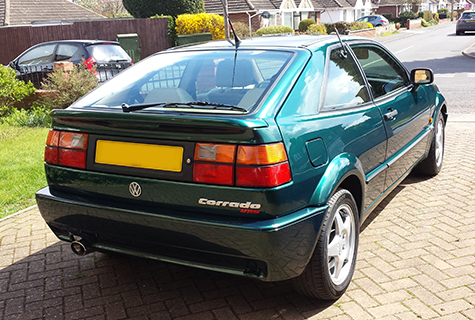 After meeting the owner of this Corrado it became apparent how passionate she was about her appreciating classic. 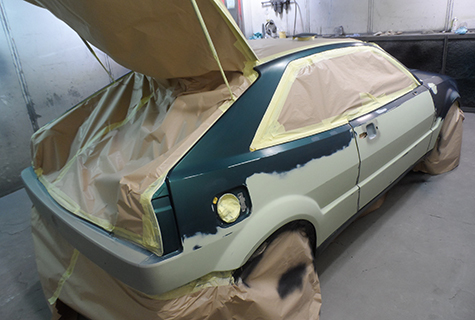 With lengthy discussions on the best way to approach a sympathetic body restoration, wheel arches and minor blisters were media blasted, cut out and welded where required and reshaped as necessary. 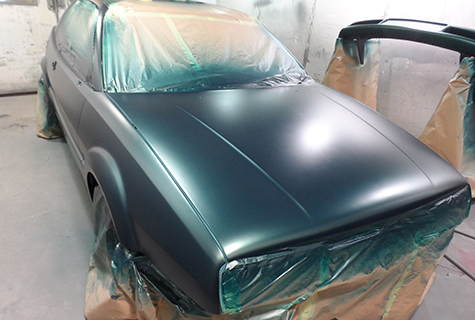 It was then completely painted in its original Dragon Green with freshly refurbished alloy wheels to complement the new look. The car and owner now regularly appear on the local Volkswagen show scene and at classic car events.